Wire Jewelry, Bead Weaving, Viking Knit, Kumihimo, More! What is Wire Work Jewelry? So, what is wire work jewelry anyway? It goes by a few other names, such as wire wrapping and wire sculpture, but it’s all about using wire to make or enhance jewelry. I generally do not include the viking knit technique in with other kinds of wire work, even though by definition it is made with wire. It’s constructed differently, so I put viking knit into its own category. As I mentioned before, most people put wire wrapping and wire work in the same category. 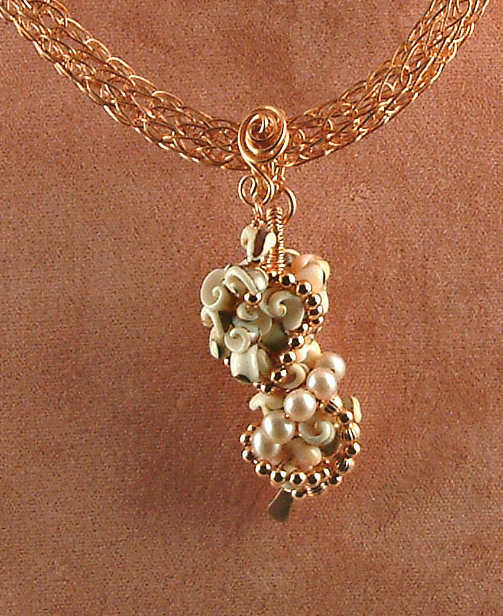 Wire work jewelry can range from simple, like a wire wrapped clasp, to the very intricate that take hours (if not days) to create. 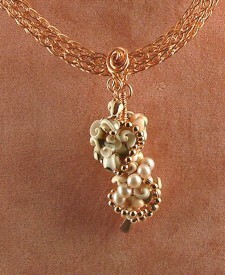 Many times, people associate wire work with pendants, but there’s a whole other world of jewelry out there! Necklaces, bracelets, earrings, pins — all can be made with wire and some imagination. The pendant I show on the right is made with wire work, but in this case, the wire is mostly hidden from view. So wire work need not feature the wire. The base meaning of “wire wrapping” features wire wrapping around a base item. OK, so what about wire sculpture? 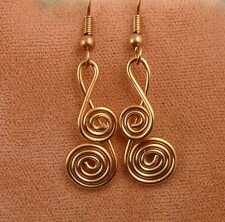 To my mind, wire sculpture means jewelry that features the wire as the main focus. Beads or cabochons or charms might be included, but molding and sculpting the wire into curves or angles is what draws the eye. I hope this answers some of your questions on what wire work jewelry is. Naturally, you’ll see a lot more information (not to mention examples) in this site. 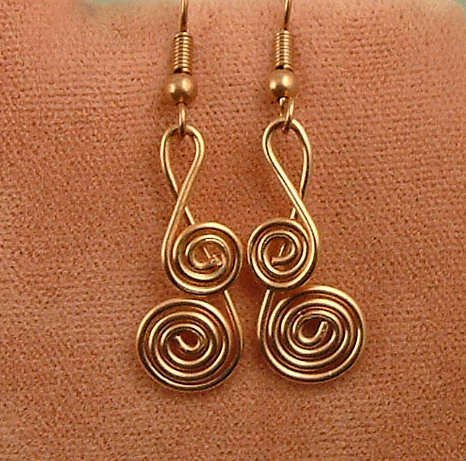 To see more posts about wire work, just click on the “Wire Work Jewelry” link in the Categories section (to your right). That way, you’ll always be able to find more information about this fascinating subject! Next up: Kinds of wire used in wire work jewelry. Chain Maille Metals – What Are Rings Made Of? Right Angle Weave – Get Slinky!